Are you looking for the kitchens Glen Waverley locals can’t stop talking about? 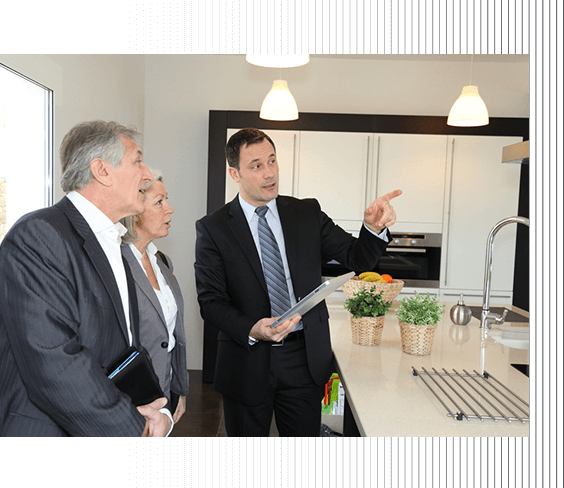 Your search is over – AOK Kitchens is who you’re looking for! With more than 20 years’ experience behind us, we have the expertise to deliver outstanding kitchens at affordable prices, that match the demands of modern life and look great all at the same time. We’re aware that a lot of homes, especially older buildings, don’t have kitchens that measure up to what we need today because of how quickly life moves forward. At the same time, all kitchens in Glen Waverley should look great so that you want to spend time there. We’re experts in find that balance for you. All kitchen renovations in Glen Waverley should be done by professionals, just like the team at AOK Kitchens. By working with you, we can establish exactly what you’re looking for from a new kitchen and then put a plan in place to make it happen – all without breaking the bank. We aim to keep any disruptions to a minimum throughout our kitchen renovations in Glen Waverley so that you can get on with your life without the extra fuss. It’s understandable frustrating while all this work is going on, but we promise the end result is going to be worth it. To finish your new kitchen, you want the best kitchen cabinets Glen Waverley has to offer and our fantastic range at AOK Kitchens is just what you’re looking for. We take great care in designing, building and installing every cabinet, vanity unit or bar so you can be sure it’s of the highest quality. By using only premium materials, and utilising our extensive experience, we have completed many designs with our great kitchen cabinets in Glen Waverley. A ready-made product will never have the same impact as something made specifically for you and all of our cabinets are covered by a seven-yeard builders guarantee. A new kitchen is a big undertaking, and this is why you should trust the experts with any kitchen design in Glen Waverley. Our team at AOK Kitchens is ready to help with whatever you have in mind, transforming your old room into something truly special and unique that meets the needs of modern living. No matter what the job, you can trust that we will make it work. Every kitchen design with Glen Waverley locals starts with you, so we can understand your current situation and what you want next. From there, we start work to leave you with a room you’ll love to spend time in and show off to guests on every visit. Our team of highly trained and skilled carpenters and joiners have made us a great kitchen manufacturer in Glen Waverley as we produce the best kitchens in the area for every customer that turns to us. We take pride in creating the best kitchens possible, which has seen our reputation across Melbourne grow to become the leading choice in the city. Our dedication to quality and commitment to you means you can be confident in choosing us as your kitchen manufacturer in Glen Waverley and relax comfortable in the knowledge we will install the kitchen of your dreams that’s perfect for modern living and stylish at the same time. This is our promise to every customer who choose to use our products and service. To find out more about the best kitchen manufacturer in Glen Waverley, contact our team at AOK Kitchens or call us on 0413 345 341 today.